At Complete Dentistry, we not only focus on your smile, we also focus on providing you a comfortable yet effective dental experience. your signature, and we care about that. Please do not wait to make an appointment, waiting can be painful. Take a preventative attitude. 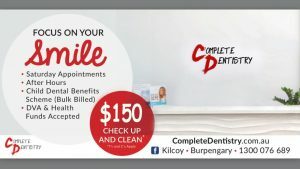 Check Up & Clean, General Dental, Children’s Dental (Child Dental Benefits Schedule), Medicare*, Emergency Dental, Extractions, Crowns & Bridges, Dentures, Teeth Whitening. Love your smile as we do. 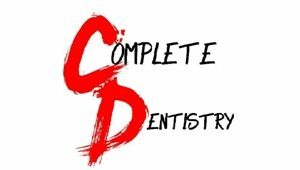 Complete Dentistry offers a variety of dental programs that cover a diverse range of dental concerns.